KATMANDU - A Nepali man who was imprisoned in Japan for 15 years for a murder he didn’t commit said Monday he is considering filing a suit for damages against the government for his wrongful imprisonment and mistreatment. Govinda Prasad Mainali, 46, was wrongly convicted of murdering a Japanese woman, but only freed and cleared of the murder charge years later. He told Kyodo News in an exclusive interview at his three-story Katmandu residence that he will wait for the result of a similar suit filed by Shoji Sakurai, a wrongly convicted Japanese man, to decide. Sakurai, who is among two men acquitted in May 2011 after 40 years of imprisonment for a 1967 robbery and murder, filed a damages suit last year against the central and Ibaraki prefectural governments. “I don’t want to file a suit I will lose. I want to be sufficiently optimistic of my chances,” Mainali said. Mainali, who has lost 10 kg since returning home, also said he is waiting for a proper apology from the government for his suffering. He said the few words of apology expressed by the justice minister after his acquittal last November was not enough. “I will not be satisfied until a Japanese official comes to Katmandu and apologizes at a press conference,” Mainali said. The father of two girls, who is awaiting compensation for his wrongful imprisonment, described in graphic detail the physical abuse he faced during interrogation after his 1997 arrest and during his imprisonment. According to Mainali, he was kept for interrogation from 9 a.m. to 9 p.m. and then put in a room that had a camera. The mistreatment didn’t end even after he was sent to prison, he added. “Security personnel verbally abused me in prison. They used the basest forms of verbal abuses,” Mainali added. Even prison inmates did not leave him alone. “For a few months in prison, I was kept in a room with seven other inmates. There were days when the inmates poured soya sauce on my head and did not let me eat my share of food. In their eyes, I was a foreigner who had raped and killed a Japanese woman. So for them, such treatment was justified,” he said. Mainali said his worst day in prison was when the Supreme Court upheld his life sentence in 2003. Mainali, who has no serious health problems despite the sedentary lifestyle of a lengthy prison term, still has trouble sleeping, a problem he developed while in prison, where he regularly took sleeping pills. “I stopped taking medicine after returning to Nepal. But even today, I cannot sleep for more than three hours,” he said. Mainali also said he fears being alone. 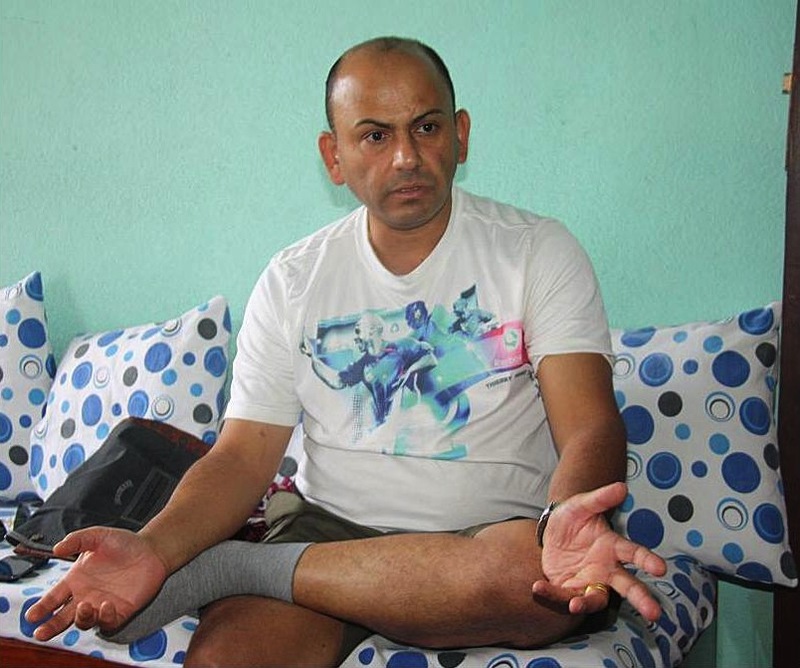 Mainali noted that he does not leave home alone as he fears falling prey to kidnappers. Mainali’s biggest regret is that his father did not live long enough to see him freed and that he was not there to raise his two daughters. “They have grown up. I can’t hug them. I can’t have them sit on my lap,” he said. But he was full of praise for Japan’s hard-working people. A book based on Mainali’s prison diaries is set to be released this month in Nepali after some editing delays. Mainali added that separately he is working on a book in Japanese chronicling his prison experiences. A migrant worker, Mainali left for Japan in 1994. He was arrested in 1997 for the murder of a Tokyo Electric Power Co. employee with whom he was acquainted. Though the Tokyo District Court released him in 2000 for lack of conclusive evidence, the Tokyo High Court overturned the verdict and sentenced him to life imprisonment. A slew of fresh DNA evidence led to Mainali’s release last June and subsequent exoneration last November. 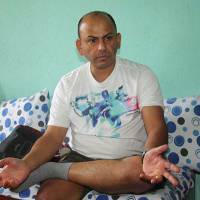 Mainali currently lives in Katmandu with his wife, two daughters and mother.